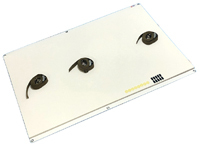 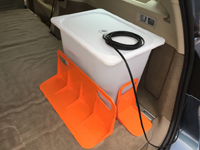 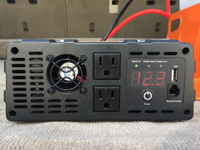 A detachable on-vehicle PV system designed for powering a broad range of appliances. 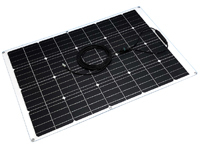 Composed of a combination of a detachable mono crystalline silicon flexible solar panel and a high capacity and long life battery compartment for ultimate portability, reliability, safety, weather resistance and ruggedness in business, disaster preparedness, leisure and everyday living. 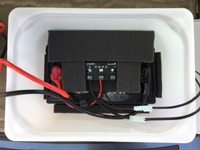 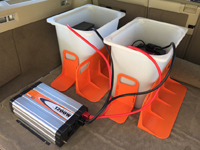 Charging the built-in 12V battery in a vehicle by solar panels on the roof and powering a broad range of appliances through AC100V, DC12V and DC5V output. 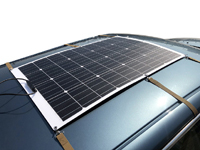 A light yet impact resistant flexible solar panel with protector foam for strong adhesion to the vehicle and for protecting the roof from scratches. 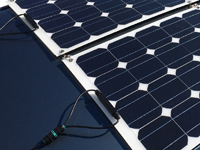 Highly efficient mono crystalline solar cells. 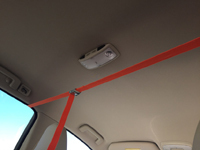 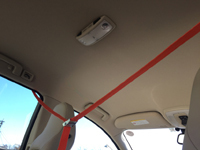 Cargo tightening belts with neodymium magnets and silicon protector labels for easy mounting on and demounting from the roof of a vehicle without using tools. 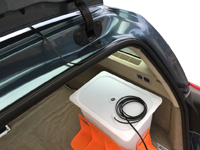 An only 3.6mm thick heat resistant output cable can be drawn into an cargo room through the gap between a body and a door or a hatch. 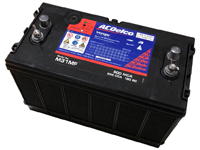 A built-in 12V 115Ah deep cycle battery offers maintenance free and long life. 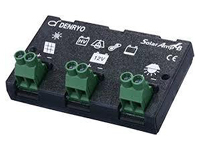 A built-in Denryo SA-BA20 charge controller with only 2mA of self-consumption current to protect the uncharged battery from over-discharging and with 5 LEDs for easy monitoring of the status of the solar panel and the battery. 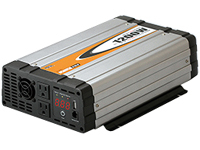 A 1200W pure sine wave DC-AC inverter with 2 AC100V outlets and a DC5V USB receptacle for powering a broad range of appliances and with an indicator for the voltage of the battery and power consumption of the appliances. 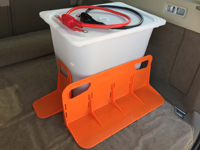 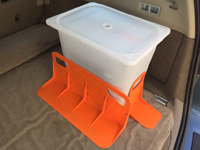 2 cargo organizers with hook-and-loop fasteners for overturning prevention. 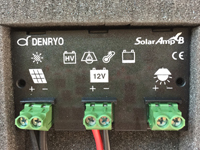 2 input connectors for 2 solar panels for quick charging. 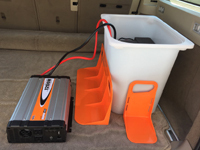 An auxiliary battery compartment available for doubling the battery capacity. 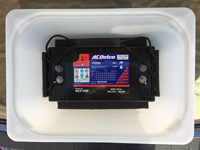 Copyright 2000-2019 Studio del Sole Inc. All rights reserved.